The following is a repost of an article we saw online and felt that our readers might find it interesting. Unfortunately we did not catch the author of this post, so if you happen to know who the author is, please leave a comment and we will be glad to update this post with the authors name and give full credit to him or her. We do not like to copy other peoples work, but when we see a really good post, that we think fits with our work, we like to add it to our blog. We thought this is so interesting because it really heralds the new trend in marketing and advertisers should take note as well as people who regularly write posts for a living. 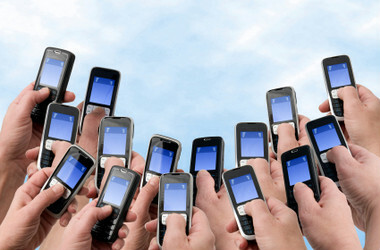 Your audience is going to someone using a smart phone in the future! Advertisers take note: People who have phones with Android operating systems are more likely to open an advertisement inside an app than are iPhone users. That, at least, is what the Nielsen Company says in a new report that it released on Monday about how people use mobile apps. What did the respondents do with these phones? 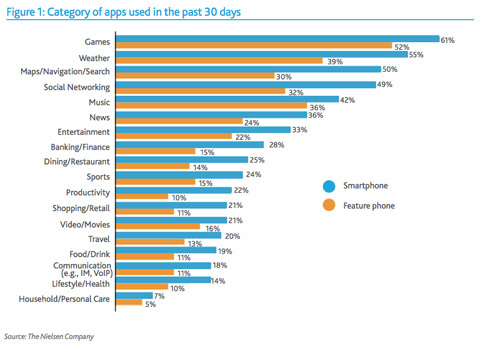 Download a lot of apps. As of June 2010, according to the report, 59 percent of the smartphone owners surveyed, and nearly 9 percent of the feature phone users, said they had downloaded a mobile app in the last month. The respondents also are playing a lot of games. The report states that 61 percent of smartphone owners surveyed said they had bought and used a game within the past month. They’re checking the weather, too. After games, the second most-used category of apps on the mobile phone were weather related, with 55 percent of phone owners surveyed using such applications, the report said. The smartphone owners surveyed also like mapping and navigation apps, social networking programs that access Facebook and Twitter, and music-related apps, according to Nielsen. The respondents in the survey rarely download instant messenger apps and those used to make Internet voice over phone calls, the report found. When comparing the different applications based on the type of phone used, the results were almost uniform across platforms. Facebook, The Weather Channel, Google Maps and the music service Pandora were in the top five apps used on the iPhone, Blackberry, Android and Windows Mobile platforms. 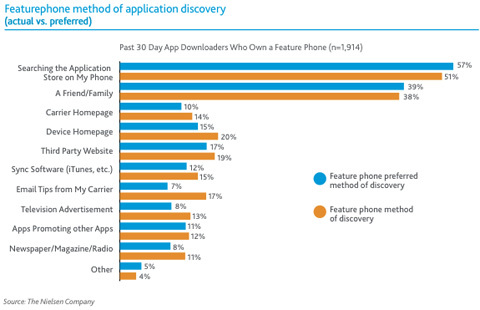 In a blog post on the company’s Web site, Nielsen said, “One of the main challenges facing apps publishers is making sure consumers discover their apps.” And so Nielsen asked the phone owners how they discover and find new apps. According to the researchers, 40 percent of those surveyed said they found new programs directly on their phones, while 36 percent said they heard about new apps from friends and family. In addition to the finding about how Android and iPhone users treated advertisements on their phones, the report found that teenagers were “much more receptive than their elders” in engaging with mobile advertising inside an app, with 58 percent of teenagers telling the Nielsen researchers that they look at mobile ads. For more information about smart phones and content, click here. First of all in the interests of full disclosure I am a PC user and have been since he first DOS machines came out on the market place. I have gone through all of the upgrades and platform changes and all of the releases and issues that we all know and love with Microsoft. What’s wrong with the iPad? What Am I looking for in a Computer? This is probably my first mistake, since the iPad , although it is a computer is not a computer in the truest sense. Instead it is really a device that is aimed at a particular market segment with a particular set of tasks in mind. As far as I can tell it is really aimed at people who want an easy to use device to browse the internet, view pictures, view web sites and read books. There are thousands of apps that will be ready for the iPad in the next few months as well. Let’s face it, if this is your need and your criteria , there is really nothing wrong with the iPad! What you cannot do with the iPad is connect an external screen to it, you cannot connect an external keyboard and you cannot print from it. Fans will argue that you do not need to do this and there is an on screen keyboard for those that need to send emails and text messages. This title implies someone who sits at their computer for hours and hours working on developing apps, developing and writing documentation, spreadsheets and presentations. While other technical experts will use their computers to interface with and debug programs and hardware that is being tested and developed. These applications are really far from the planned or intended use of the iPad. These users need external keyboards that are ergonomically designed with multi screens, printers, fax machines and various test gear that the need to attached to their computers. Since they spend so much time in front of their screens, they also need to be able to sit at desks and used keyboards that are ergonomic to protect their posture and their wrists from things like carpel tunnel syndrome. So if you fit into this category and this is all you do with a computer, then the iPad is probably not for you. The iPad does not even have a USB port. There is an argument for owing both the computer of some sort as well as an iPad. If I had not purchased an iPod Touch, I probably would not have written this comment. The Ipad is basically a larger iPod Touch with many of all the same functions and format on a larger screen. I have used a PC computer for many years to do most of the things I mentioned above. I use a laptop for its convenience, I can take it anywhere, use it whenever I need it as long as I can get connected to the internet and I can work off line as well on large documents, presentations and spreadsheets that I routinely work on. Lately though i have found that the iPod Touch is being used more and more. The iPad fits into the same category. I have read and responded to my email around the pool, the restaurant while waiting in line, called via Skype to friends and family and lounged in front of the TV with the family watching a program while scanning the news. I just cannot easily do all of this on my PC in those locations. So for me there is definitely a use for the iPad in addition to the regular PC. 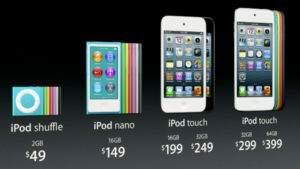 However personally I like the iPod Touch for ease of carrying it and its overall size and use. Love to hear your comments as well. For more information about the ipad and smart phones, click here. There have been over 400,000 iPads written at the time of writing this blog, however before it gets actually published there could quite possibly be thousands more iPads in consumers hands. We have looked at a number of areas that consumers may want to consider when buying an iPad. Although it is not billed as a computer and does not have the flexibility of a computer, many people are lining up to get this latest Apple product. It does have a lot of benefits, however there are some drawbacks as well which may or may or not be important to some users. Apps – It can run most if not all of the apps developed for the iPhone and for the iPod Touch, however they will most likely be the size of the small screens of the iPhone. If you expand them on the iPad, you will probably get pixelization. Apps are being upgraded and or developed all of the time. Cost – The price varies from $499 to $899 with memory and 3G connectivity being the main differences. Note that if you opt for the 3G version you will also need to subscribe to a monthly data plan with AT&T adding further cost. All iPads support WI-FI. If you spend $899, you may as well purchase a computer that has more features and business applications that you can add. Web –Excellent for browsing the web with the same drawbacks as on the smaller devices. iPad uses Safari, which does not support tabs and does not support Adobe Flash, so if you go to sites that require Adobe, you are going to get error messages. Wireless –The iPad supports WI-FI and AT&T’s 3G wireless plans. If you really need wireless on the go, you will need to pay the extra monthly cost. The iPad is fast and displays web pages with lightening speed. Books – must be purchased from Apples book store with many titles and newspapers getting into the program there will be lots of content to review. Some reviews indicate that the iPad may be a little hard on the eyes vs. the Kindle if you do a lot of reading. Email – reading email is similar to the iPhone, with a large screen of course, however the onscreen keyboard although better than it’s smaller cousin, is still not ergonomically sufficient for typing long emails. Keyboard – Typing long emails is tough on the iPad and there is no USB connection to add an external keyboard. 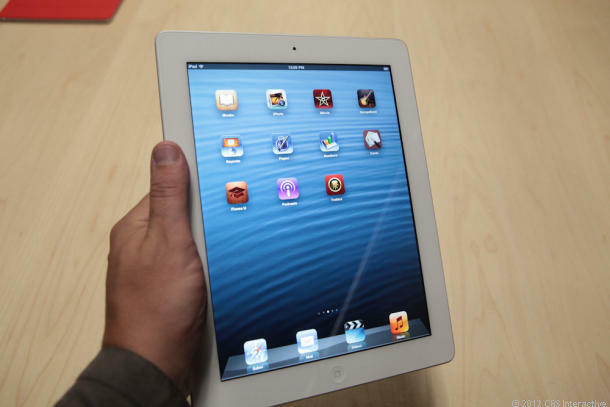 Size – The iPad weighs a light 1.5 pounds and can be carried easily in your hands or in your briefcase. Most people are shown reclining with the iPad propped on their knees. This is not ergonomically designed , however convenience and ease of use are the primary benefits. Games – supports all of the iPhone games and more are expected. Brilliant screen makes games on the iPad especially great to play on. Music – Play all of your favorite songs with the iPad, listen on the built-in mono speaker, stereo headphones or plug it into an external system to listen to your music. Movies – great for watching movies with the sharp clear screen. But the iPad doesn’t support the wide screen 16:9 format of most movies, so viewers will have to look at thick black edges on two sides. Hardware – The iPad features a standard 3.5-mm jack for headphones, a dock connector port, a built-in speaker and a microphone. The 3G models also include a tray for a micro SIM card. Noticeably absent: USB and HDMI ports. Battery – A built-in battery that cannot be replaced by the user. Apple can replace the battery for a fee. It is important to use your iPad properly , draining the battery every time so that you do not prematurely build in battery memory effects. As will all devices of this type, keep them away from water and high temperatures. For more information about the iPad and smart phones, click here. All of the experts are weighing in on the new Apple iPad. It has just been released and how it will take over the world, Experts feel that it will make all other computers obsolete and not worth the money you would spend on them. So what are the issues that people should be aware of. Why would you want to purchase an iPad and/or also have a regular computer? The short answer really depends on what type of user you are of computers in general. We will try to break this down and let you decide for yourself, however recognize that it is early days yet and we have not had the opportunity to play with an iPad. We have been reading articles by various experts who have managed to get their hands on one of these new devices. Like the I-phone and the iPod Touch, the iPad should excel at this application. With touch screens and relative straightforward typing or input requirements, the iPad is ideal for this. With built in wireless WiFi capability, fast computing and surfing capability, we expect that users will be more than satisfied with the iPad. Smaller and less weight to carry around, with the touch screen, it is ideal for carrying around with you to the coffee shop or to work or to a meeting were you can keep up with emails , read the mail or monitor podcast presentations from anywhere you can gain access to the internet via WiFi. Convenience and ease of use is the major selling point of the iPad. Anyone can use it, in fact it is intuitive surfing of the net. Whether it is your grandmother or your uncle who has never had a computer, the iPad will be the device of choice. The larger screen makes the difference for those who find reading small print difficult. There is a large market for this general application of computers. Currently we have read that any app that works on the iPod Touch or the I-phone will work on the iPad. We doubt that Apple has had the opportunity to test every one of the 100,000+ apps that work on the smaller devices, however rest assured that within a month, they will be identified and updated. Many developers are already working on new apps, with many available for the release of the iPad. Those of you that like the I-phone and the iPod Touch for the app’s will continue to enjoy the same app’s on the iPad. Yet to be verified by users in the general market place, the iPad can be used to generate presentations, documents and spreadsheets as well as many other application of this type. However the on screen keyboard and the lack of an external mouse may limit the number of hours that someone is willing to spend using this on screen key board. Much has been made about ergonomic keyboards, mice, posture and screen angles for heavy users of computers. Small documents , etc should pose no problem, however we are concerned for those who spend long hours using a computer. Even though the eventual product is an app (music, podcast or a video or a an app) to be used by iPad owners on their iPad , developers will likely use Macs or perhaps even PC’s to develop these app’s. These app’s will the thoroughly tested on an iPad, however we doubt that they will be created on an iPad. Simply because to the ergonomics mentioned earlier as well as the computing power and ability to support more intensive programs that will not run on the iPad. The jury is still out on this of course, however it will be interesting to see how this area of iPad use evolves. Developing App’s, Programming detailed complex programs and documents takes long hours and sometimes significant computer power, display and various interfaces. We seriously doubt that the iPad will fit into this category of computer use. The ergonomics are bad , the screen size is small for most developers are used to several large screens and the lack of an external keyboard makes the iPad not the ideal computer for this type of application. There is still life after iPad for traditional computers, however the growth potential may be limited since they are both going after the user whose primary application is surfing the internet and responding to emails and social networking sites. Power users, developers may also have an iPad, however they will continue to use their main computers for all of the traditional workhorse activities. Give your comments and opinions about our thoughts and opinions either in agreement or disagreement. You can use the Apple iPod as a Phone! I recently picked up an Apple iPod Touch from the Apple store in Las Vegas , Nevada. I had wandered into the store and was browsing some of the products when I was approached by one of the many sales people. I have to say that I am a solid PC user and do not know much about Apple’s products. I was intrigued by the number of customers in the store and everyone seemed to be animated and having a great time collaborating over some project they were working on. Perhaps Apple was running a special collaboration project, but I have never seen this in a PC store. I wanted to have a look at the new iPad which is what brought me into the store in the first place, however they did not have a model to show me so I was disappointed in this area. Being a good salesperson, the person I spoke to started querying me about what I was looking for and we then had a conversation about how I might be interested in the iPod Touch. What I was really looking for was an iPhone without the ATT voice and data plan. He quickly informed me that he could not sell me an iPhone, since it must be sold with an activated ATT plan and that I must also have a US address. I told him I wanted to make phone calls using the iPhone using Skype, browse the internet and check on email. His solution was the iPod Touch which can use WiFi connections to connect with the internet and do all the things that I was looking for. The main application I really wanted was Skype which there is an application for that can easily be installed on the iPod Touch free. I will digress and explain a bit about Skype , however this sold me in the iPod Touch right there. Now I do not need to lug my lap top around looking for a WiFi connection when I want to read email or make a few calls while traveling. Another huge advantage is that I can amuse myself while shopping with my wife by listening to the radio, music or reading news and email as long as there is a WiFi network around which there seems to be ample. Skype is an emerging VoIP carrier that provides a free application to install on your PC or in my case the iPod Touch. Once installed, you create an account which is also free and you are ready to go. All of this can be done in about 15 minutes. Once installed, you can talk to any other Skype user for free over the internet as long as they also have Skype installed on their computer. You will need a microphone and it is also nice to have a built in camera as well since you can also do video calls with Skype all at no cost to the user as long as you are calling another Skype user. Skype makes its money when you call outside of the IP network to a traditional phone or cell phone. Rates are typically 2 cents a minute or less. In order to make these kinds of calls you will need to add some money to your account which can easily be done if you have a Paypal account. Once Skype was installed on my iPod Touch, I quickly signed in and was ready to make calls to all of my listed contacts. Note that you must be near a WiFi network for the iPod Touch to be able to access the internet and your Skype account. Skype worked just like it does on my PC with free calls to other Skype users and paid calls to cell phone users as well as traditional phone users. The Apple sales person told me that the iPod Touch is exactly like the iPhone without the phone application installed. What this really means is that there is no microphone installed and there is not a good ear piece. Although you can hear sounds through a tiny speaker it is not sufficient for listening to music of other voice sounds. Instead you must use ear buds and a microphone chord which is then plugged into the iPod Touch. The quality is excellent and I have used the Skype application installed on the iPod Touch to make several calls to friends and family. In fact they have told me that the connection is better than when they have talked to me over my computer. I am still experimenting with adding app’s to the iPod Touch, however so far I have reviewed all of my emails, read the news using Google reader, checked on the weather, checked on the markets and followed some stocks that I am interested in with Yahoo. All of this may seem trivial to Apple users, however having the convenience of being able to do this with a small device like the iPod, without having to subscribe to a data plan from one of the carriers is a major advantage for me. There seems to be WiFi networks around wherever we go. I did not realize just how many were available, since I did not always carry my heavy laptop around with me. All of the people with iPhones, Blackberries and other smart phones can access the internet and do all of the things that I just mentioned. However they are tied to a data plan which is a major disadvantage in my books when you can access the internet using WiFi for free! Also you must be wondering why I chose to include this article in this blog under indoor coverage. Well most WiFi connections are indoor only. If you have a wireless network set up for home use, you can use the iPod touch at home as well while watching TV or whatever to finish up a few emails etc without having your lap top perched on your lap! For more about iPod touch and smart phones, click here.